On April 14, the University Consortium Okinawa, which consists of eleven higher education institutions including public and private colleges and universities, held a press conference at the Okinawa Institute of Science and Technology (OIST) in Onna Village. They announced the establishment of a “Student Volunteer Center for Children” that sends students out to support the learning and daily life of children in households suffering from financial difficulty. The head office will be located at the University of the Ryukyus. The center will arrange for volunteer college students to support children in their learning and art activities at the Children’s Dining and Learning-Support Schools in Okinawa. The Consortium is still to discuss and decide on volunteer partners, volunteer training, and the number of volunteer students. The center aims to go into full-scale operation from May. The center will use subsidies from the Okinawa Child Poverty Countermeasure Projects set up by the Cabinet Office. 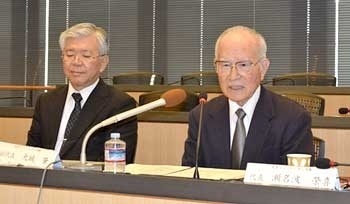 The University Consortium Okinawa, which received a government commission for the initiative, will manage the project.